We ship our premium teak lumber products to satisfied customers worldwide. Special orders are always welcome. 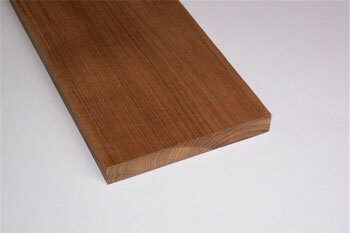 Enhance your next project with the unique value of not plantation farmed Burma teak. Tung Nut Butter is food safe, consumer friendly and ideally suited for sealing and polishing fine woods in both residential interiors or on exposed marine wood surfaces, without containing any petroleum products or added chemical drying agents. 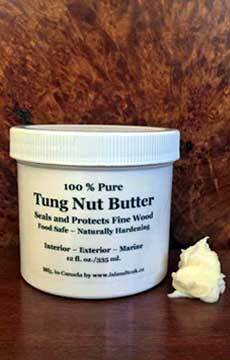 Tung Nut Butter hardens to form a UV light resistant, elastic finish that will not chip or crack. 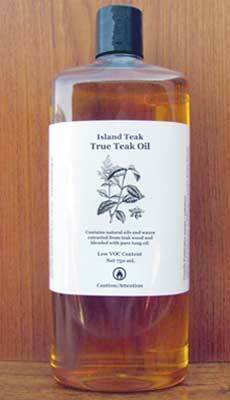 Island Teak True Teak Oil is the original and only True Teak Oil that contains oils and waxes extracted from reclaimed teak. A two part system formulated to provide a superior and natural coating to all varieties of wood. 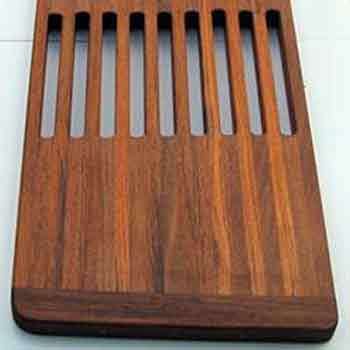 Island Teak will build you a solid teak bath mat to meet your specific size requirements. Our sturdy and attractive bath mats are constructed from 1/2 inch thick x 1-7/8 inch wide teak battens which have eased edges and slightly spaced for effective drainage and greater comfort. 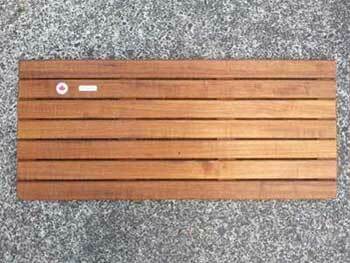 Island Teak has developed a unique, solid teak decking system especially designed for light displacement boats where less weight, secure footing and excellence in quality is required. 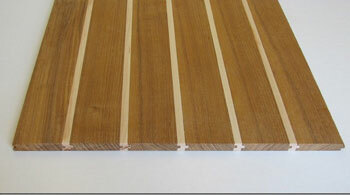 Island Teak proudly offers Burma teak boat decking, available in standard sizes or custom milled to your specifications. Each order of teak boat decking from Island Teak comes shipped with instructions on how to lay your new teak deck. 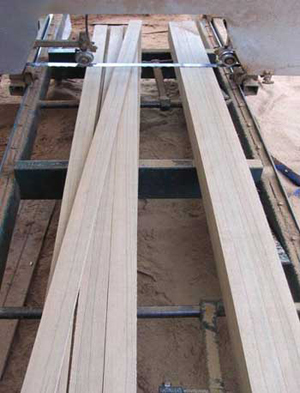 Island Teak is your source for naturally grown Burma teak. 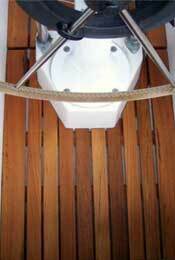 Affordable elegance for the finest interior boat decking, combining interlocking teak and maple. Old growth Burma Teak and Eastern Hard Maple. 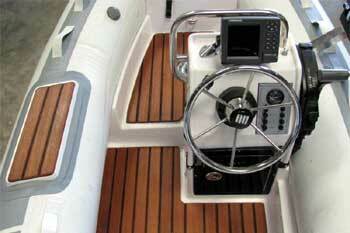 Island Teak manufactures pre cut teak components for boat cockpit grates and for cockpit seating. These teak components are easy to assemble with a minimum of tools and woodworking experience. 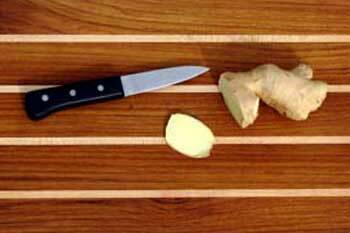 Teak and Maple cutting boards for the finest galleys. Build your own swim platform with solid teak components! 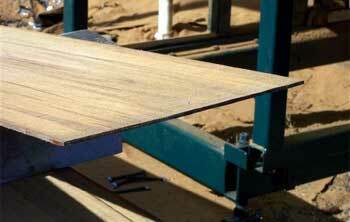 Crafted teak components to build your own customized swim platform. 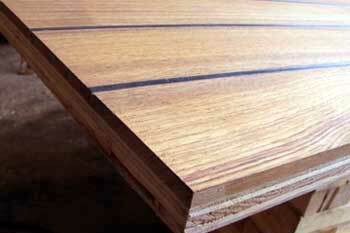 Island Teak provides reclaimed Burma Teak lumber in a variety of user friendly sizes. The ultimate in style and durability, teak decking is gaining popularity for residential applications such as patios, verandas, balconies and exterior decks.